Customer information on your Orders is not saved to your Customers List automatically. See Customers Overview for more details. If you'd like to save Customer information from an Order to your Customers List for easy retrieval in the future, open the Order Form and click the "Choose a Customer" button. 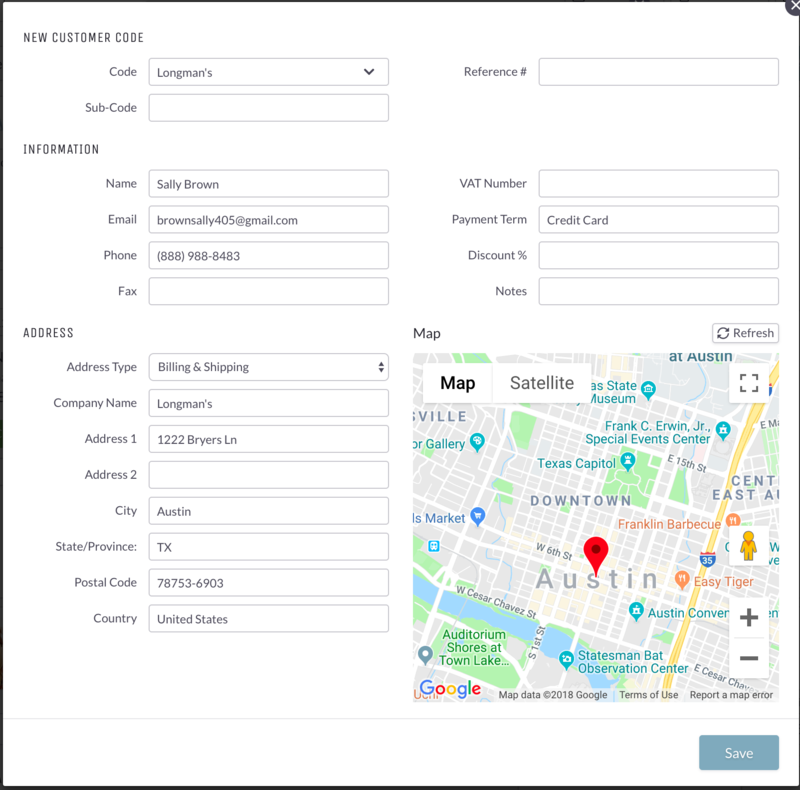 If the information on the Order Form matches any existing Customers in your Customer List, they will appear as suggestions in case you'd like to update an existing entry. To create a new Customer, click "+ New Customer". 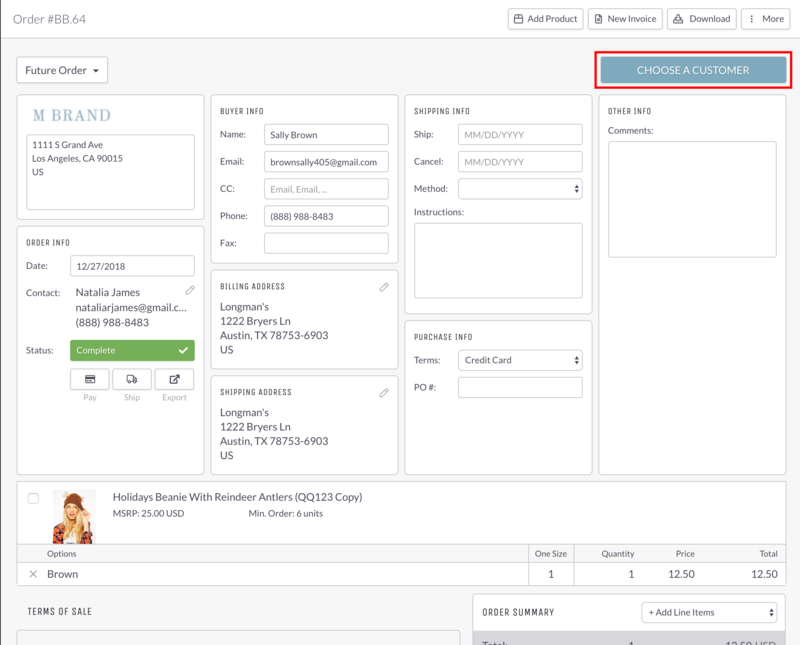 The information from the Order Form will automatically populate a New Customer form for you to edit and save.